The U.S. nuclear submarine that helped U.S., U.K., and French forces commit an act of war against Syria last week is no longer welcome near the waters of Italy’s largest seaports, Newsweek reports. Citing Italian newspaper La Repubblica, Newsweek reported that Naples Mayor Luigi de Magistris wrote last week to Rear Admiral Arturo Faraone, head of the city’s port authority, to express his disapproval that Faraone had allowed the U.S.S. John Warner to pass through the Gulf of Naples on March 20, following a two-week military exercise conducted by NATO forces. Magistris also went on record to voice his disdain for policies that lead to war and reiterated his strong stance in favor of pursuing peaceful alternatives. “Our administration is not against anyone but it is in favor of policies of peace, disarmament and international cooperation,” de Magistris told Italian news service Agenzia Nazionale Stampa Associata (ANSA) on Monday. “It is in favor of diplomacy so that international institutions like the U.S. are the lead players in moments of crisis. 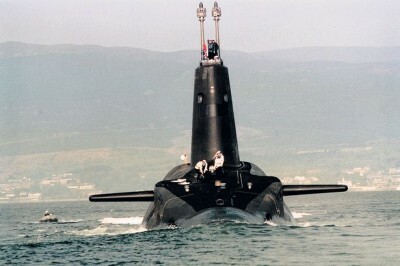 “The fact that it is the same submarine (involved in the Syria attack) further reinforces the rightness of the order with which we said ships of nuclear propulsion or carrying nuclear weapons are not welcome in the port of Naples and, therefore, they are not allowed to travel through or stay,” he also said, appearing to affirm his disapproval for Washington’s aggressive actions. According to Rai News, as quoted by Newsweek, Faraone responded to Magistris by stating he “shared his concerns” but that “decisions regarding the arrival and/or transit of foreign military naval units in national territorial waters” were outside of Faraone’s jurisdiction as such jurisdiction instead resided with the Italian Ministry of Defense. “The moment we say that we are a denuclearized port our position as a city is firm,” de Magistris also told Italian daily Il Mattino on Tuesday. “Then it is up to others to translate our will concretely into effect. We hope that the national government and the governments of other countries in the future will refrain from allowing these types of ships to transit or stop in the harbor. Before the Anglo-alliance strike on Syria took place last week, the prime minister’s office in Italy released a statement that confirmed Italy would not play any role in a Western attack on the Syrian government but would offer “logistical support” – an apparent reference to the two key air force bases in Italy used by U.S. forces (Libyan leader Muammar Gaddafi was assassinated by a U.S. drone flown out of a base in Sicily in 2011). The U.K.-based Telegraph responded to the prime minister’s statement by calling Italy the “weak link” in the western alliance. That being said, current Prime Minister Paolo Gentiloni eventually told lawmakers he supported the strikes against Syria, saying “Italy is not a neutral country” when it comes to the NATO alliance squaring off against Russia, according to the Associated Press.